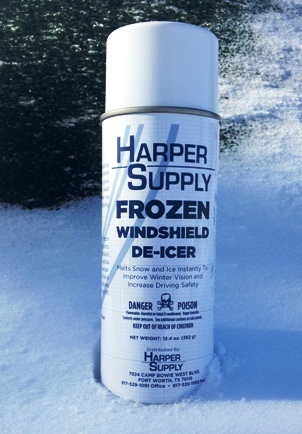 Frozen Windshield De-Icer quickly and easily melts snow and ice from your vehicle. It thaws ice on glass surfaces, locks, door creases, dead lights and other surfaces where ice accumulates to improve visibility and provide safe operation. Frozen is in aerosol which helps to instantly lower the freezing point of water to quickly melt away the snow and ice.